← ASK FATHER: Non-Catholic engaged to SSPX follower. What to do? Hello Fr. I am coordinator of our Extraordinary Ministers of Communion. But we have a very troublesome one. He attends every mass and receives Holy Communion at every mass up to six times a day. The priests have told him twice a day only but he still continues to abuse the Blessed Sacrament. It is becoming very divisive in my parish is there anything I should do? as people are complaining to me about the situation. i cannot get to meet with my PP. One man is destroying my parish. We also have a CC [?!?] that is encouraging this behavior and is a real bully. Looking forward to your answer. What is a CC? cubic centimeter? Catholic Cardinal? crazed curmudgeon? Folks, if you are going to write to me with questions, make sure I will know what you are talking about. If you are the coordinator of Extraordinary Ministers of Holy Communion and you cannot meet with the parish priest, then something is seriously wrong. Write to tell the parish priest of this situation. Offer your resignation if he is unwilling to address the matter. You do not want to be a part of this sort of problem. The law is clear. The faithful who are properly disposed can received Holy Communion once a day, and then once more in the context of Holy Mass. To receive more frequently is, as you note, an abuse. Can. 917 – Qui sanctissimam Eucharistiam iam recepit, potest eam iterum eadem die suscipere solummodo intra eucharisticam celebrationem cui participat, salvo praescripto Can. 921, § 2. Someone who has already received the Most Holy Eucharist can receive it again (iterum) on the same day only within the Eucharistic celebration [i.e. Mass] in which the person participates, with due regard for the prescription of can. 921 § 2. And… can. 921 § 2 says that if a person is in danger of death, he may receive Communion even it is not in the context of Mass. That is Viaticum. That iterum does not mean “again and again”, but merely “again, one more time”. Sometimes, when one brings up a problem, those in authority either choose not to deal with the problem, or choose to deal with it in a way not to our liking. At those times, often the best course of action is to withdraw from the situation for the sake of one’s own sanity, to pray for those involved, and to muddle on as best as one can. We can rarely change others, but we can change our attitude towards them. Pray to this gentleman’s Guardian Angel and to the Holy Spirit. Then leave it aside and don’t let it destroy your interior life. This entry was posted in "How To..." - Practical Notes, ASK FATHER Question Box, Liturgy Science Theatre 3000 and tagged Can. 917, EMHC, Holy Communion, iterum. Bookmark the permalink. CC is shorthand for “Catholic curate” (or parochial vicar in American terminology). PP is “parish priest” (i.e., the pastor). If you received Communion at a vigil Mass, say on Saturday evening, would you then be only able to receive once on Sunday? We are required to receive Holy Communion by the Church once a year, and that at Easter or thereabouts. 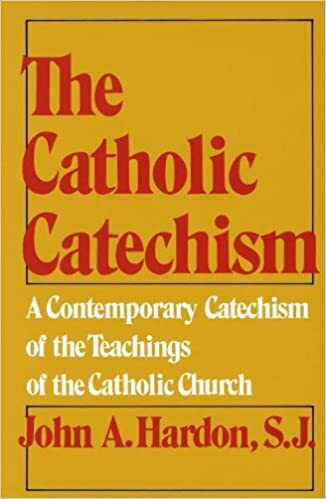 We can receive oftener of course, but there is a real danger that the reception of Communion is replacing the central concept in Catholicism of the Mass. This will become an increasingly important issue over the next twenty years as the number of priests declines sharply, and with it the availability of Mass. Scores of pre-Consecrated Hosts at “centres” is not an option. Would CC perhaps be an acronyme for Ceremonial Coordinator? Explain the rules, but then leave the fellow alone. A parish has the be pretty messed up for a man over-communicating to destroy it. I would ask this question: Is this man in his right mind. When I was in college, we had a homeless individual who would try to come to mass many times. He wanted attention and he wanted to receive Our Lord. Some of the parishioners and the pastor solved this problem by talking to him. We found out that much of the time he wanted to be warm in winter and in the air conditioning in the summer. So we set up a way for him to get a hot meal every Sunday. Then we worked with him and parishioners to get him a job. Later we discovered he was mentally unstable, we helped him and he stopped the abuse of the Blessed Sacrament… He was welcome at mass, but only to receive the host once per day. I think pastoral leadership can help here. Also, the man may have some serious mental deficiencies or diseases that need to be addressed. Does he have a family? I am certain that your holy priest should be able to work with him. Here are some prayers to you. Just curious… What is the philosophical/theological reasoning behind laws regarding receiving too many times in one day? I think drohan deserves a gold star. Sometimes (and I suspect it happens all too often), people try, sincerely, but misguidedly to try to figure things out for themselves with regards to issues of the Faith and they get it wrong. This man does not have to be mentally ill (although he may be) in order to arrive at the conclusion that the more he can receive Jesus, the better. From what I have heard from a priest during a homily (and this may be folk-tales), one reason the bell was rung at the consecration was because during the Middle Ages, when a person was in a large Cathedral with many side altars, they could find where the consecrations were occurring so that they could go from Mass to Mass. Whether that is true or not, I can’t say, but the point is that his desire is not totally illogical. If he is merely told only to communicate twice, but not told why, then he is stuck with an apparent contradiction and may ignore the directive. He needs to have it carefully explained to him that the Church has authority, by God’s approval, under the power of the Keys, to order times and numbers of the reception of the sacraments and that current regulations allow for two Communions, per day (one, at Mass) – three, if the third is viaticum (is that right?) – and that by obeying the Church, he adds the merit of obedience to his Communions, which is more pleasing to God than receiving Communion in opposition to the wishes of the Church. If he continues multiple post-double receptions after that, then one is free to assume either mental illness or malice (assuming he is capable of understanding). In my parish, anyone is free to submit an article for consideration in the bulletin. Perhaps, one could submit Fr. Z’s answer, or a reprint from EWTN or Catholic Answers on the matter. In 1984, the Code Commission interpreted the word “iterum” in Canon 917 to mean a second time only. See Pontificia Commissio Codici Iuris Canonici Authentice Interpretando, Auth. interp. (11 iul 1984), Acta Apostolicae Sedis 76 (1984) 746-747 vel Communicationes 16 (1984) 240. If, say, on a Saturday, one attends the morning Mass, then there is a funeral, followed by a wedding that afternoon, concluding with the vigil Mass for Sunday, is one permitted to receive communion at each of these Masses? Canon 917 does not seem to allow for this eventuality. It would help if we had better and consistent translations of clergy offices. Why not just use “parochus/parroco” and “parochial vicar”. “Parish Priest” is vague, as is “Pastor”, and “Catholic Curate” seems unnecessarily specific about religious affiliation. But, I admit that I like the sound of “Curate” and “Monsieur le Curé”. Here’s what I don’t understand: Why does the Code of Canon Law allow someone to receive Communion twice a day? Isn’t once a day enough? Because if people are allowed to receive Communion twice a day, why not three times or six times a day? I don’t understand the rationale for twice. Have you tried to discuss this with the individually directly? Politely ask him if he knows he should not take Communion more than twice max. If he says yes and doesn’t care that’s an entirely different issue from not knowing (which doesn’t seem likely but his demeanor and response should let you know what he’s thinking). I would suspect he thinks he’s exempt for some reason and that the law only applies to those in the pews instead of those in the sanctuary. Probably not the time to get into the lack of distinction from the lay state that an EMHC still is. That or he doesn’t believe in the Real Presence but a subtle hint to that end, if not an explicit admonishment about treating the Blessed Sacrament too casually. I think that’s the most likely interpretation, although I’ve only rarely seen “curate” in American usage. It’s a word that I’d love to bring back into vogue, personally. JBS and Drohan, I think you both are compassionate and on the right track. This person sure sounds like he he has a psychological disorder that manifests as compulsive religiosity. Hardly a rare problem but certainly can be debilitating and painful to suffer, as well to see. Simply explaining to him that he is violating the rules regarding respect for the Eucharist and the worthy reception of Holy Communion, may only serve to complicate his problem and aggravate his compulsive behavior. Perhaps CC is used to indicate ‘Curate.’ Curates were thus described in Ireland in the past, and possibly still are today. Yes, one should receive Holy Communion no more than two times a day as Fr Z has said. But is this really an issue that is ‘divisive’ and ‘destroying’ a parish? How many attend more than one Mass on any day? Who would know if an individual had been at another Mass, let alone whether he had already received? I agree with JBS. And I should have noted JMC had already explained what CC meant! “Sometimes, when one brings up a problem, those in authority either choose not to deal with the problem, or choose to deal with it in a way not to our liking. At those times, often the best course of action is to withdraw from the situation for the sake of one’s own sanity, to pray for those involved, and to muddle on as best as one can. We can rarely change others, but we can change our attitude towards them. I wish I could give you a gold star for this, Father Z. The rationale for twice a day (which in Canon Law is the natural 24 day not the liturgical day) was, I believe, because of the celebration of “vigil” Masses. It enabled someone to attend the Saturday morning “ferial” Mass and then the Saturday evening “vigil” Mass and receive Communion at both Masses. One would think that in this day and age of the Internet, when there is so much information available, that it would be easy to find out the teachings of the Church, but just hang out in some of the Catholic discussion groups, online and one is disabused of that idea. Perhaps, the person was misled by something he read, online. One, quickly, finds out that there are many misinformed Catholics (both laity and, sadly, some priests) who are more than willing to share their misinformation/opinion. It scares me to death, sometimes, to have the ability to make comments that countless hundreds or thousands of people will see – and what if I am wrong? That should be enough to sober up anybody who understands the sin of scandal. In any case, one should not treat the truth as a foreign language (now, that should go in a quote book, somewhere). At least people on this blog provide references that can be checked out. I suspect that many Catholics have never heard of the Code of Canon Law. At least they have the Catechism, but it does not state the restriction on number of times one may Communicate in a day, at least not that I can find.